Assault covers an array of violent crimes and categorizes them into four separate degrees of severity. Every variety of assault in Seattle can have a devastating impact on your life if you’re convicted of the charges. Each degree of assault has its own set of penalties, and the stigma of possessing a criminal record. Our team of Seattle assault lawyers can help you defend your rights, and will aggressively fight to minimize the damages. For a better understanding of the assault charges you’re facing you should contact the law office of Jason S. Newcombe and find out more detailed information about Seattle criminal law. What follows is a basic overview of the four degrees of assault in Seattle. First Degree Assault – This is a Class A felony and describes an assault with a deadly weapon, with intent to cause great bodily harm, death, or resulting in great bodily harm. This serious Seattle assault crime is punishable by up to life in prison. Second Degree Assault – This is a Class B felony for an intentional assault that causes substantial bodily harm. It also includes assault with a deadly weapon, assault while attempting to commit a felony, strangulation, or assault on a pregnant woman that harms the fetus. A conviction for this criminal charge carries a sentence of up to ten years in prison and $20,000 fine. Third Degree Assault - This is a Class C felony that covers causing bodily harm to another person through negligent use of a weapon, assault while resisting arrest or upon a nurse, doctor, or police officer. This Seattle crime can result in up to five years in prison and $10,000 fine. Fourth Degree Assault – This gross misdemeanor covers varieties of assault that are less in severity than all of the others, such as a kick or a punch. This variety of assault can result in up to a year in county lockup and $5,000 fine. What degree of assault you will face depends on several different factors, including the level of harm inflicted or potentially could have been done, whether weapons were involved, who the victim was, and what the intent was. Don’t take any chances with your future; contact one of our Seattle assault attorneys if you’ve been charged with this violent crime. 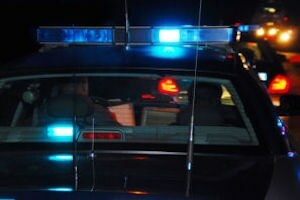 There are numerous circumstances that can lead to an assault arrest in Seattle. One of the most common is for domestic violence, and oftentimes these charges end up being fabricated. Don’t become a victim because of someone else’s false claims that they were victimized. It takes time to construct a defense against any assault charge, no matter what the severity. For this reason you should not waste any time in contacting one of our Seattle assault lawyers. You are facing the prospect of time in jail, expensive fines, and a permanent blemish against your character. If you have questions about your current case or what you could be facing, do not hesitate to give us a call for a free consultation. Contact one of our Seattle assault attorneys today and find out how we can protect you from false accusations.